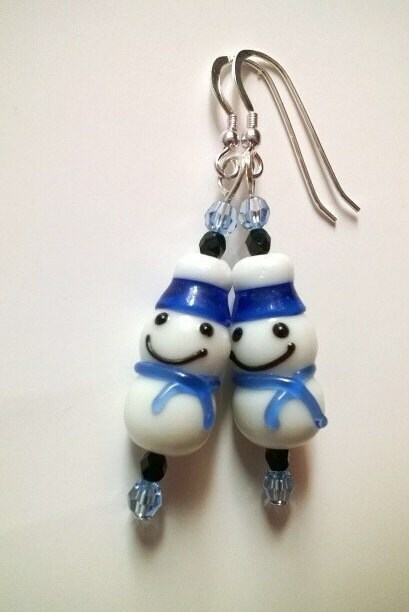 Bundle up with these adorable snowman earrings, accented with a blue hat and scarf! They will add a wonderful accessory to your winter/holiday wardrobe! The snowmen themselves are made of lampworked beads, and the blue and black beads are genuine Swarovski Crystal components.